Minutes after eighteen-year-old Bennett Bardo of Gordo, New Mexico, asks Sophie Gilkey, his dream girl, to prom and she says yes, she is abducted by aliens and Bennett catches a ride across the galaxy with a band of misfit musicians to find her. 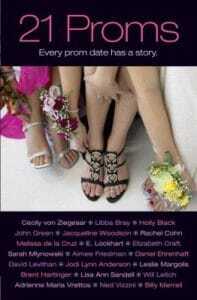 Camilla hopes her secret crush, Benjamin, might ask her to prom but feels pressured into accepting the invitation of a casual acquaintance, and Joshua has worked up the courage to ask his best friend, Ethan, to be his date when Ethan asks his help in crafting the perfect “promposal” for another boy. 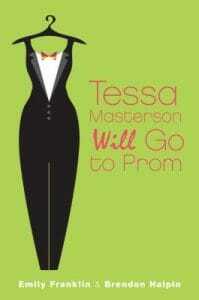 Feeling humiliated and confused when his best friend Tessa rejects his love and reveals a long-held secret, high school senior Luke must decide if he should stand by Tessa when she invites a female date to the prom, sparking a firestorm of controversy in their small Indiana town. 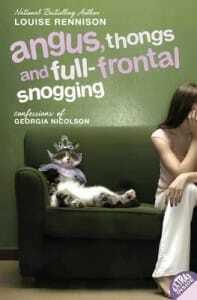 For Lizzie Bennett, a music scholarship student at Connecticut’s exclusive, girls-only Longbourn Academy, the furor over prom is senseless, but even more puzzling is her attraction to the pompous Will Darcy, best friend of her roommate’s boyfriend. 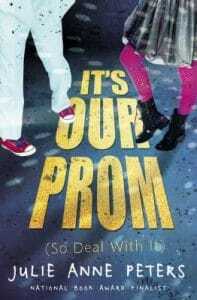 Told in separate voices, Azure, who is a lesbian, and Luke, who is bisexual, help plan an inclusive senior prom while Luke is writing and producing a musical about his life, both are working through the crush they have on their friend Radhika, and all three are dealing with problems at home. A full spectrum of good dates, bad dates, unexpected dates, and more is covered in 21 stories from today’s best-selling and up-and-coming YA authors. 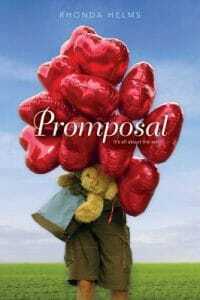 After Jack Grammar’s friends, Percy and Natalie, post a personal ad in the school newspaper for him, Jack ends up with only seven days to date all the responses before asking one special girl to the prom. 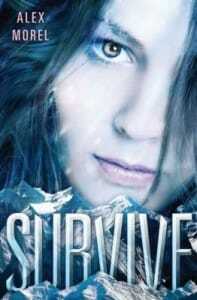 A troubled girl is stranded in an arctic winter terrain after a plane crash and must fight for survival with the only other boy left alive. Thirteen-year-old Cort’s father is a local expert on hunting and swamp lore in lower Alabama who has been teaching his son everything he knows. But when a deadly Gulf Coast hurricane makes landfall, Cort must unexpectedly put his all skills–and bravery–to the test. The luxurious celebrity cruise launching the trendy new diet sweetener Solu should be the vacation of a lifetime. It takes a horrifyingly wrong turn when the gig becomes an expose on the shocking side effects of Solu. 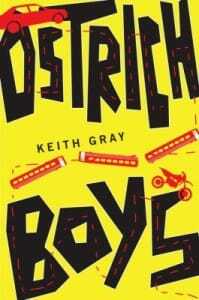 Matt and Mike are best friends, just two working-class guys trying to earn some money in Montauk for the summer. When they meet Driana, JoJo and Stef, three friends who live a much different life of privilege, Matt and Mike find themselves in a sticky situation where temptation rivals sensibility. Worlds collide when the group ventures out to sea aboard a small boat that Stef sneaks out from her dad’s dock. 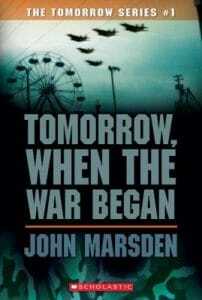 As the waves rise and the fragile vessel weakens, things go horribly wrong. Adrift at sea for days, who will have what it takes to survive? When Ruth is kidnapped, she’s determined not to become this serial-killer’s next trophy. After she’s able to escape, her captor begins stalking her through the wilderness. 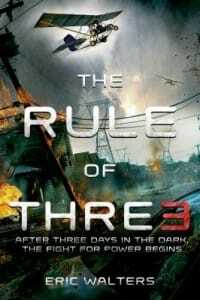 The Rule of Thre3 by Eric WaltersYA WALTERS, E.
Computers around the globe shut down in a viral catastrophe. At Adam Daley’s high school, the problem first seems to be a typical electrical outage. Then cell phones go down, municipal utilities are failing, and only a few computer-free cars function. As resources dwindle, crises mount, and chaos descends, Adam will see his suburban neighborhood band together for protection. And he will understand that having a police captain for a mother and a retired government spy living next door are not just the facts of his life but the keys to his survival. 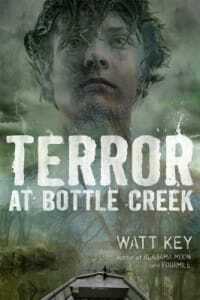 Everything unathletic sixteen-year-old Henry was dreading about survival camp turns out to be true–or even worse–when armed killers arrive and survival takes on a whole new meaning for the campers. 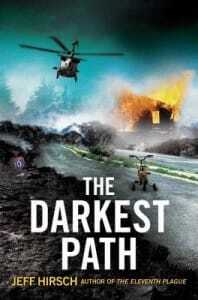 Since he was captured by the Glorious Path, a militant religion based on the teachings of a former soldier, fifteen-year-old Cal has served the Path in its brutal war with the remains of the United States government, and tried to survive and protect his younger brother, but when he kills an officer to protect a stray dog, Cal is forced take his brother and the dog and run. 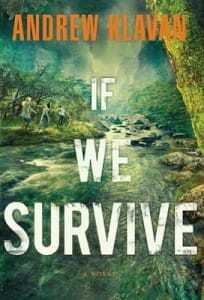 When revolutionaries seize control of a country in Central America where sixteen-year-old Will is serving at a mission, he and the other volunteers find themselves in a desperate race to escape the violence and return home. 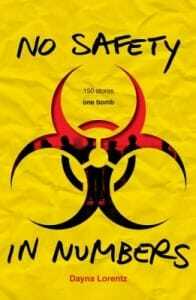 Teens Shay, Marco, Lexi, and Ryan, quarantined in a shopping mall when a biological bomb goes off in an air duct, learn that in an emergency people change, and not always for the better, as many become sick and supplies run low. 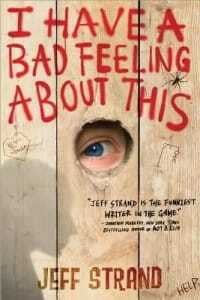 Trapped inside a chain superstore by an apocalyptic sequence of natural and human disasters, six high school kids from various popular and unpopular social groups struggle for survival while protecting a group of younger children. Seventeen-year-old Nero is stuck in the wilderness with a bunch of other juvenile delinquents on an “Inward Trek.” As if that weren’t bad enough, his counselors have turned into flesh-eating maniacs overnight and are now chowing down on his fellow miscreants. These kids have seen zombie movies. They know the rules. Unfortunately, knowing the rules isn’t going to be enough. Alex, a resourceful seventeen-year-old running from her incurable brain tumor, Tom, who has left the war in Afghanistan, and Ellie, an angry eight-year-old, join forces after an electromagnetic pulse sweeps through the sky and kills most of the world’s population, turning some of those who remain into zombies and giving the others superhuman senses. Robbie’s last-minute flight to the Midway Atoll proves to be a nightmare when the plane goes down in shark-infested waters. 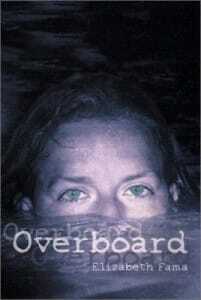 Fighting for her life, the co-pilot Max pulls her onto the raft, and that’s when the real terror begins. 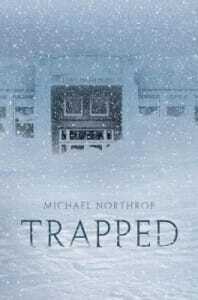 Seven high school students are stranded at their New England high school during a week-long blizzard that shuts down the power and heat, freezes the pipes, and leaves them wondering if they will survive. 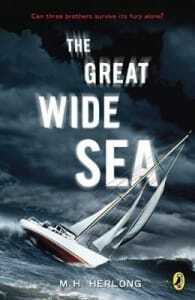 Still mourning the death of their mother, three brothers go with their father on an extended sailing trip off the Florida Keys and have a harrowing adventure at sea. 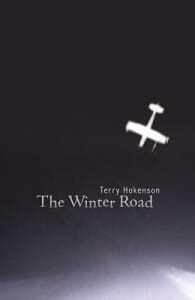 Seventeen-year-old Willa, still grieving over the death of her older brother and the neglect of her father, decides to fly a small plane to fetch her mother from Northern Ontario, but when the plane crashes she is all alone in the snowy wilderness. When Ellie and her friends go camping, they have no idea they’re leaving their old lives behind forever. Despite a less-than-tragic food shortage and a secret crush or two, everything goes as planned. But a week later, they return home to find their houses empty and their pets starving. Something has gone wrong–horribly wrong. Before long, they realize the country has been invaded, and the entire town has been captured–including their families and all their friends. Ellie and the other survivors face an impossible decision: They can flee for the mountains or surrender. Or they can fight. Escaping from a sinking ferry in the waters off Sumatra, fourteen-year-old Emily fights for survival for herself and a young Indonesian boy, who draws courage from his quiet but firm Islamic faith. 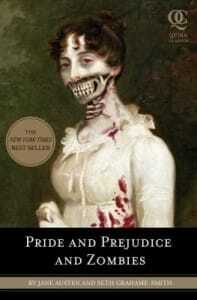 A biography of Jane Austen for students that provides an overview of her personal life, writings, and influence on world literature. Hallie and Grace Weston have never exactly seen life eye to eye. So when their father dies and leaves everything to his new wife, forcing the girls to pack up and leave San Francisco for a relative’s house in shiny Beverly Hills, the two sisters take to their changing lot in typically different styles. Shy, responsible Grace manages to make friends with an upbeat, enterprising girl named Palmer but still yearns for her old life — and the maybe-almost-crush she left behind. Meanwhile, drama queen Hallie is throwing herself headlong into life — and love — in L.A., spending every second with gorgeous musician Dakota and warding off the attention of brooding vet Brandon. But is Hallie blinded by the stars in her eyes? And is Grace doomed to forever hug the sidelines? 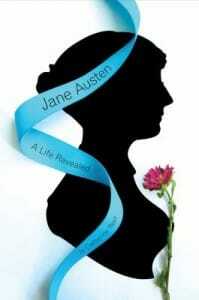 Her life, her work, her legacy-step into the world of the incredible Jane Austen. It’s Jane like you’ve never seen! 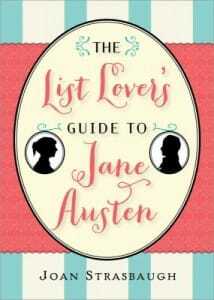 Through fun and breezy lists, discover everything there is to know about Jane Austen, the sassy literary genius we know and love. Learn her likes and dislikes, her haves and have-nots, where she traveled, how she lived, and who she knew. With a wealth of little-known and fascinating information, find out: – Her friends and her beaux- Every place she lived or visited – Books in her library – Her quirks – The last lines of everything she wrote – and much more! 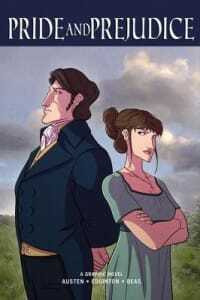 Elliot North fights to save her family’s land and her own heart in this post-apocalyptic reimaging of Jane Austen’s Persuasion. 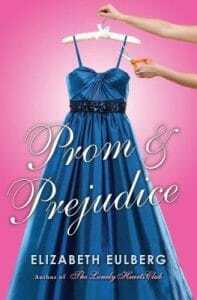 In this modern take on “Pride and Prejudice,” Elise Benton, who has just moved to California, is a junior at an exclusive prep school where, in spite of her initial bad impression, she finds herself attracted to the moody and handsome son of Hollywood’s most famous celebrity couple. 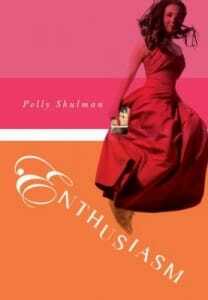 A celebration of friendship, sisterhood, and true love follows the Dashwood sisters–practical Ellie, drama queen Abby, and tomboy Georgie–as they share their romantic woes and mishaps. 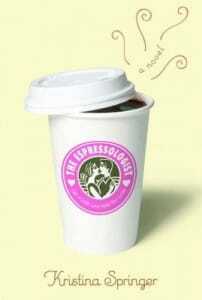 While working part-time as a barista in a Chicago coffee bar, high school senior Jane dabbles in matchmaking after observing the coffee preferences of her customers. In this graphic-novel adaptation, writer Ian Edginton and artist Robert Deas introduce one of the best-loved works of English literature to a new generation of readers. 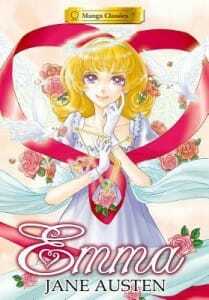 The impulsive match-making of Emma Woodhouse delivers both humor and heartache through the gorgeous artwork of manga-ka Po Tse (Manga Classics: Pride and Prejudice). On a school trip to snowbound Scotland, several students become infected and turn into hungry zombies, leaving a small band of survivors to take refuge in the school bus. 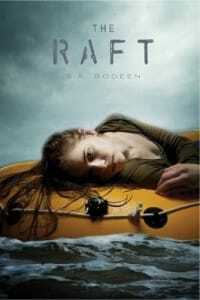 Orphaned Josie is sent to live with an aunt and uncle on the rocky, stormy northwest coast of Scotland. 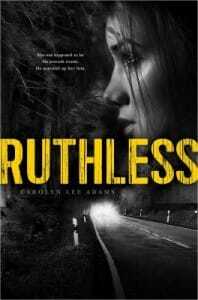 Everything and everyone in her new surroundings, including her relatives, is sinister, threatening, and mysterious. 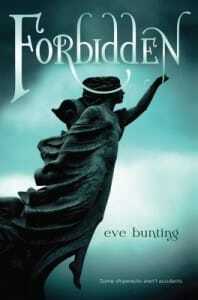 She’s told that Eli, the young man she’s attracted to, is forbidden to her, but not why. Determined to learn the village’s secrets, Josie discovers evil fueled by heartless greed, as well as a ghostly presence eager for revenge. Some shipwrecks aren’t accidents. 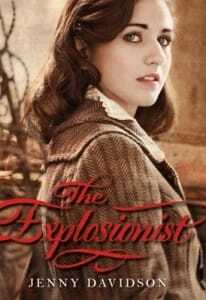 In Scotland in the 1930s, fifteen-year-old Sophie, her friend Mikael, and her great-aunt Tabitha are caught up in a murder mystery involving terrorists and suicide-bombers whose plans have world-shaping consequences. 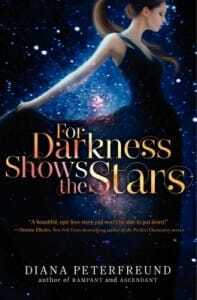 In 1844 Edinburgh eighteen-year-old Lady Aileana Kameron is neither an ordinary debutante, nor a murderess–she is a Falconer, a female warrior born with the gift for hunting and killing the faeries who prey on mankind and who killed her mother. 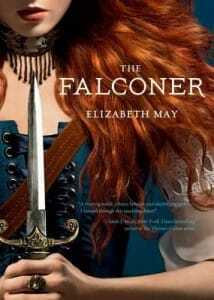 In alternating chapters, ambitious Lady Macbeth tries to bear a son and win the throne of Scotland for her husband, and Albia, their daughter who was banished at birth and raised by three weird sisters, falls in love, learns of her parentage, and seeks to free Scotland from tyranny in this tale based on Shakespeare’s Macbeth. 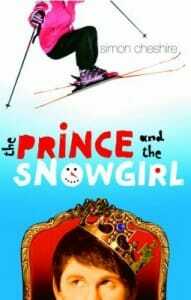 Tom Miller has been performing as a look-alike of Prince George of England for several years, but he finally decides to change his appearance and try to figure out who he really is when the real prince makes a surprise appearance while Tom is competing at the UK Inter-Schools Ski Championships in Scotland.